This season, we’re all about hygge (HOO-GUH) — the Danish idea of coziness. 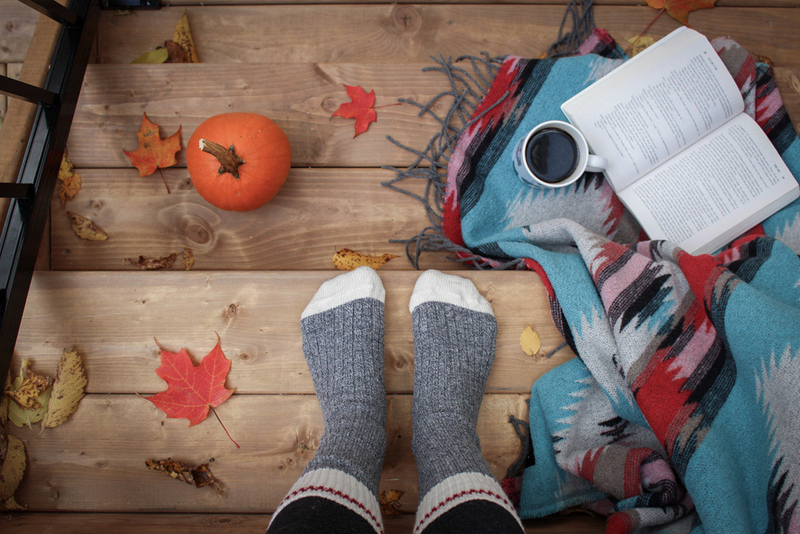 And there’s no better time to fully embrace hygge than fall. It’s time for lattes, sweaters, scarves and boots — all the comforts that go hand-in-hand with the changing colors and dropping temperatures. So, let’s take some time to cozy-up our living spaces and make them fall-worthy! Start with lots of pillows and soft, fuzzy throw blankets. Then, add some fall decorations to really set the stage. For quick and easy décor, pick out a variety of brightly colored pumpkins and gourds in a range of shapes and sizes. Looking for a little more DIY? Paint your pumpkins in the color scheme of your choice (a perfect option if kiddos are involved). Kick it up a notch by dipping your painted pumpkin in glitter or sprinkling confetti on top. Fill wide or hurricane vases with small pumpkins, pinecones and brightly colored flowers and leaves (real or fake!). 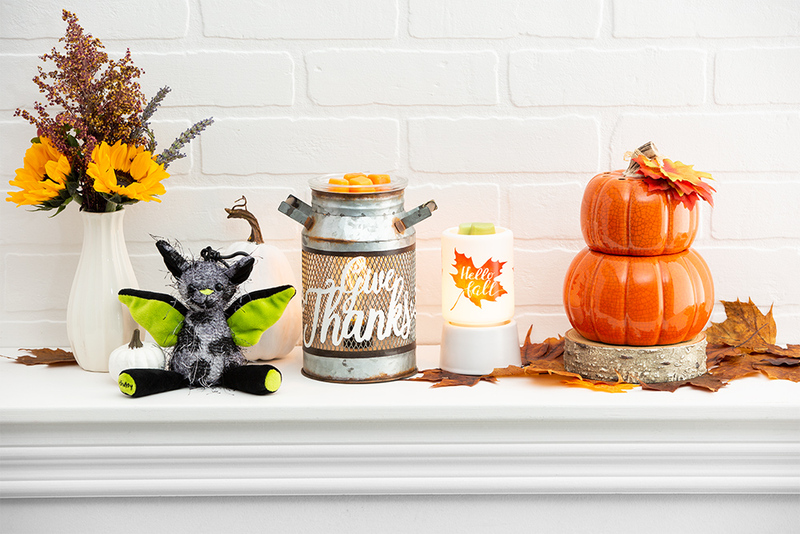 Accent those with smaller vases or mason jars filled with candy corn, acorns or dried corn. Whatever you do, the idea is to create a space where you’ll want to curl up and relax. To take that experience to the next level, add your favorite fragrance. 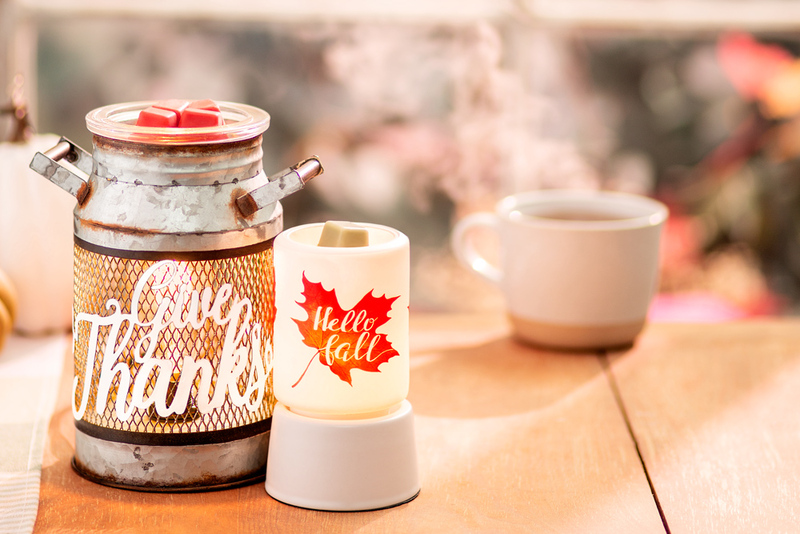 From Apple & Cinnamon Sticks or Autumn Sunset to Farmstand Pumpkin and Painted Leaves, there are so many Scentsy fragrances that embody fall. And what better way to warm your favorite fragrance than in a Scentsy Warmer from our 2018 Harvest Collection? 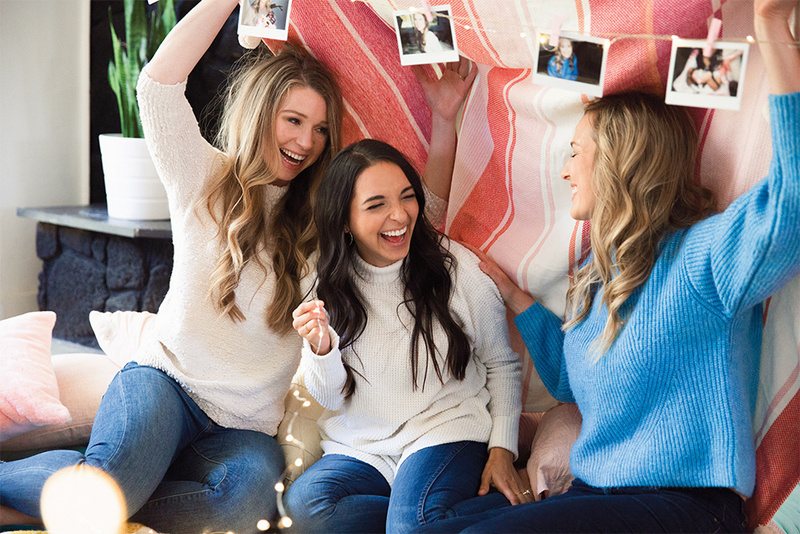 Or check out our new Fall/Winter 2018 lineup — you’re sure to find something that gives you all the feels of fall. To shop the Harvest Collection and Fall/Winter 2018 Catalog, contact your Scentsy Consultant today. Don’t have a Consultant? Find one at scentsy.com. What’s your favorite cozy fall décor? Tell us all about it in the comments. Whiff Box: New scents and surprises every month!